Real-time schedule view of aircraft movement for sales, dispatch, pilots, and mechanics. The first in the industry fully automated Aircraft Flight Log system that includes fuel tracking, flight time tracking, and pilot duty and qualification tracking. Real-time view of aircraft maintenance status with "looking forward" capability and early warning system. Completely replaces PlaneDocs, CAMPS, and any other similar systems. Capture every receipt, every hotel invoice, every fuel or airport charge in real time. Use built-in camera to track all of these items, and how they have been paid for. Alert the crew of special cost/purchase provisions and contracts. Be a part of a global calendar of jets and pilots, a system that connects everyone to deliver most efficiency for every asset aircraft you own or operate. For Part 135 Operators: PlaneFactor eliminates every single paper process involved in Part 135 flight operation and replaces it with real-time document exchange systems. Solution fully meets FAA requirements for digital document management and tracking. 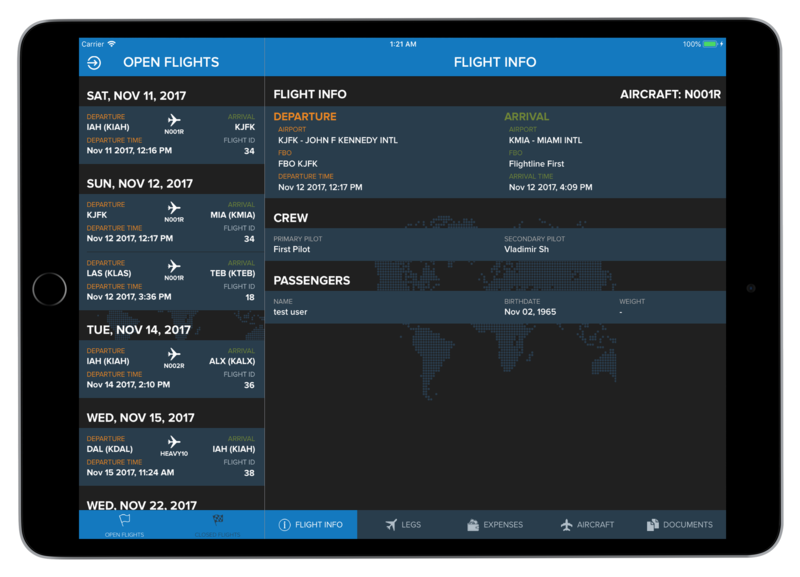 For Part 91 Operators: PlaneFactor ensures that every flight in your part 91 aircraft conducted within regulations, and gives you real-time visibility into operations of your aircraft by anyone who is traveling or leases it from you.